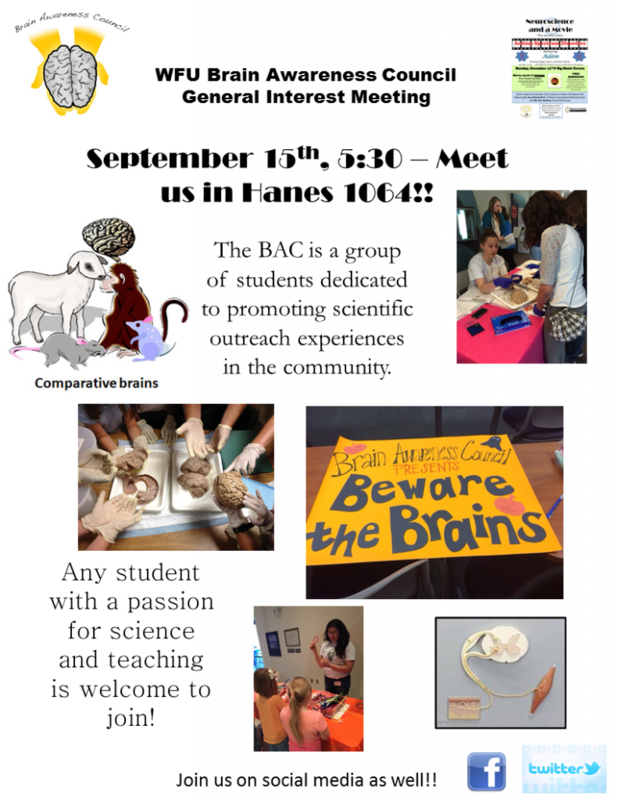 The WFU Brain Awareness Council will be holding the 2016 interest meeting in Hanes 1064 September 15th at 5:30. The BAC is open to all students, Graduate or Undergraduate, from any major, concentration or program. It’s a great way to meet people, engage in science, reach out to the community and gain teaching experience.